Miami: Tiger Woods was found asleep at the wheel of his car when he was arrested for driving under the influence but passed a roadside breath test, police records showed Tuesday. The golf superstar, who issued a statement on Monday saying alcohol was not involved in the incident, needed to be woken by a police officer, his arrest report showed. The former world number one has blamed the DUI arrest near his home in Jupiter, Florida on an adverse reaction to prescription medication. His police report, obtained and published by several media outlets, said Woods was "co-operative" and "confused." "Woods had extremely slow and slurred speech," the report said. He initially told officers he had been driving back to Florida from Los Angeles but later stated "he did not know where he was." He was unable to complete various roadside sobriety tests which included standing on one leg and the "walk and turn" test. However contrary to reports on Monday which said Woods refused a breathalyzer test, the golfer agreed and "blew zeroes" indicating there was no alcohol in his system. Woods also told police he had been using four prescription medications including the powerful painkiller Vicodin, which is commonly prescribed following surgery. Woods has undergone four separate surgeries on his back since 2014, with the most recent procedure taking place in late April. The 41-year-old was arrested by police near his home in Jupiter, Florida, around 3 am (0700 GMT) before his release later Monday after being charged with DUI. A police mugshot of Woods looking bleary-eyed and unshaven rapidly went viral, underscoring the fall from grace of the superstar athlete once renowned as a clean-living, corporate pitchman. "I would like to apologize with all my heart to my family, friends and the fans. 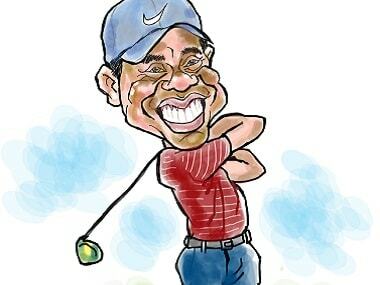 I expect more from myself too," Woods said in a statement issued on Monday. The arrest is the latest gloomy episode to hit the 14-time major winner, who once towered over his sport before being engulfed by turmoil in his private life and a series of debilitating injuries. His return from a year-long injury layoff was cut short in February when he pulled out of the Dubai Desert Classic after the first round because of back pain.